This morning when I walked into Terminal 2 at the Fort Lauderdale airport I heard a familiar, yet almost forgotten, sound in the air. 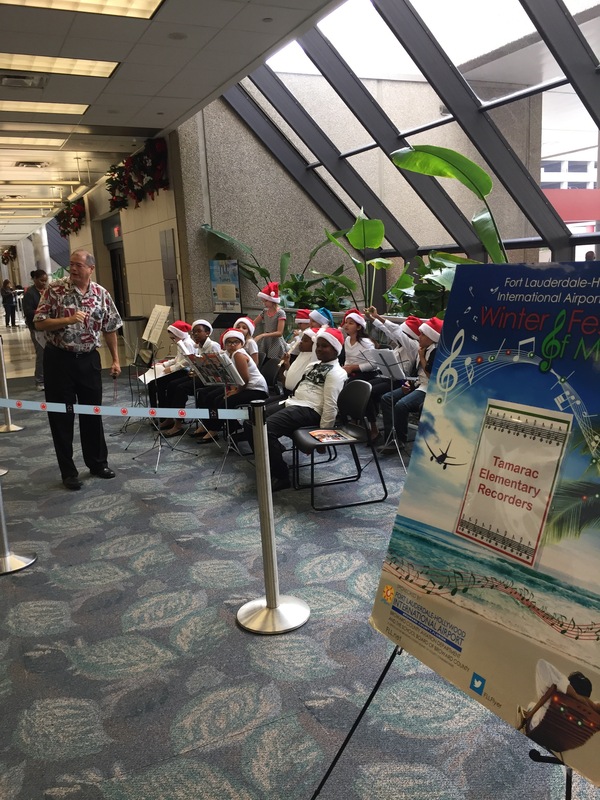 A local elementary school recorder group was working through some holiday music, piping away with all their might. It brought back memories of going to school holiday music concerts when the kids were little. Inevitably, at least one recorder performance was part of the show. There was something about the peculiar, high-pitched, quavering sound of recorders played by little kids that seemed to directly attack the central nervous system. We parents learned that a little recorder music goes a very long way. Ever since, nothing says happy holidays quite like Deck the Halls played by a second-grade recorder band. It’s December 15, which means there’s only 10 days to do that last-minute shopping — or in my case, first-minute shopping. I’ve been down in Florida for the last few days, and the very warm weather and palm trees don’t exactly get you humming It’s beginning to look a lot like Christmas. 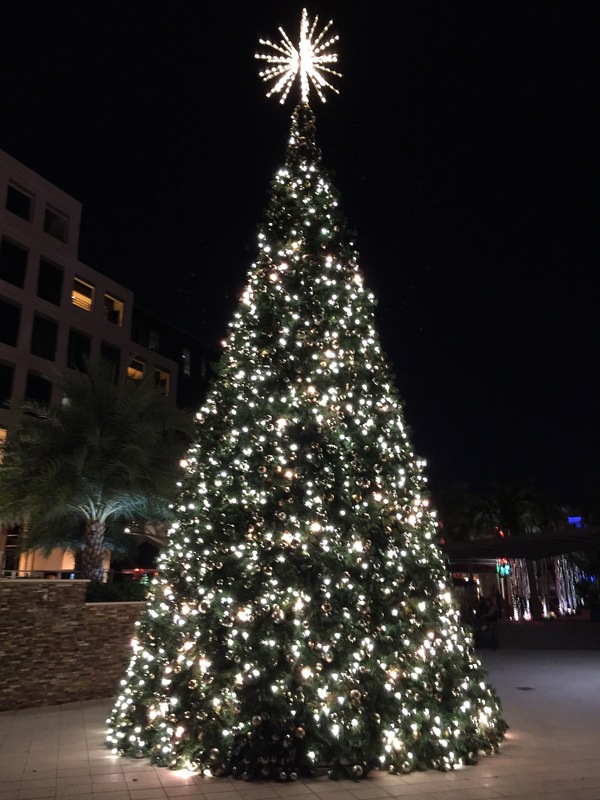 Fortunately, there’s this gigantic Christmas tree in the plaza of the hotel I’ve been staying in to remind me that it’s freaking December. I head back up north this morning. The weather app says it’s a cool 7 degrees in Cbus right now, with the high today to be a balmy 13. That might feel a bit too much like Christmas for my tastes.